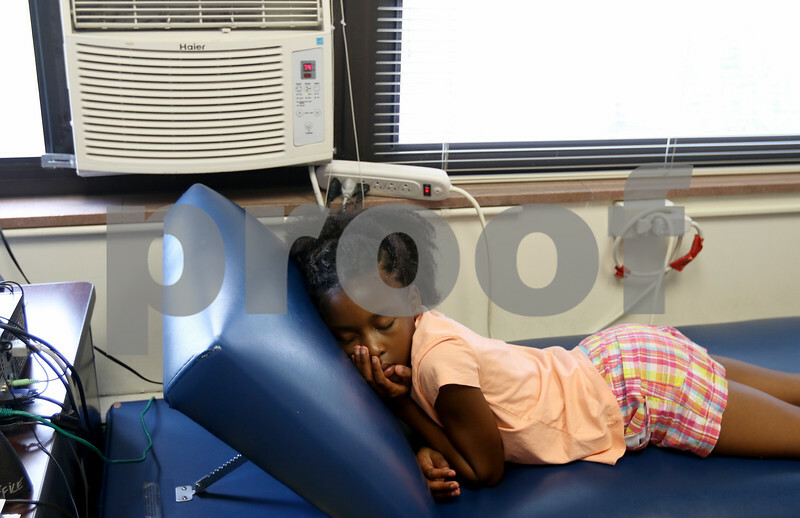 Lincoln Elementary School third grade student Tawonna Keith rests inside the nurse's office, one of only four places in the school with an air conditioning unit, on Tuesday, Sept. 26, 2017 in DeKalb. The school is the only one in the district without air conditioning, resulting in abrupt school closures during days of intense heat. The rooms that do have air conditioning units are the main office, the staff lounge, the mobile unit which houses the library and music room, and the nurse's station.